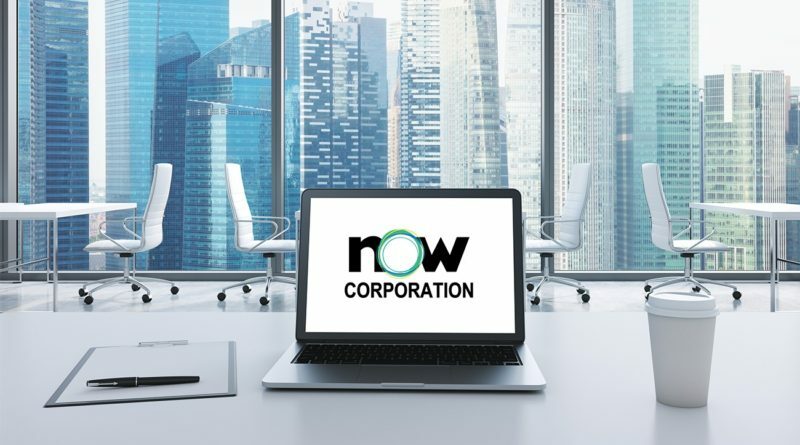 NOW Corp. (PSE: NOW) has set off its expansion program for Fiber Air after successfully providing internet connectivity solutions for enterprises, government agencies, commercial and residential buildings since its maiden launch in 2015. To date, NOW has engaged with business partners to expand its presence in several regions including Southern Tagalog and Central Luzon. With its coverage blanketing Metro Manila, it has become one of the fastest growing broadband service providers and the first in the market to roll-out next generation networks in the country. NOW is the only broadband provider that delivers guaranteed broadband connectivity to its clients 24×7, done through fixed wireless access (FWA) deployment of next-generation high-capacity wireless to the market. FWA is not new to the telecom world. Used also by leading telecom giants Verizon, AT&T, T-Mobile, and even Google Fiber that turned to fixed wireless to deliver broadband connectivity, the FWA completes the last mile deployment to end customers—a solution that proves to be more cost effective and faster to deploy than traditional hard wire. NOW currently delivers a maximum 2.40Gbps Capacity through FWA that can bridge geographical expansion limitations. As part of its aim to expand its presence outside Mega Manila and to strengthen the economy in the countryside, NOW introduces Network ng Mamamayang Pilipino (NOW-NMP) in providing opportunities for regional entrepreneurs to bring the Fiber Air technology to areas that are underserved and unserved. The idea of NOW-NMP is simple: partner with visionary entrepreneurs that have strong local roots with the aim to deliver new technologies by becoming a Business Partner. The model allows the Business Partner to immerse itself in the lucrative world of telecom by providing internet connectivity solutions. By entering into a partnership with NOW, Business Partners are able to give back to the community by way of digital enablement which results to accelerating transactions and boosting income of constituents. “We seek to partner with like-minded individuals, game-changers who take subtle pride of being the unsung heroes of providing jobs and introducing innovations in a local territory in which they operate and help move forward the country’s economic progress,” said Rodolfo P. Pantoja, Chief Operating Officer of NOW Corp.
“It may be hard to believe but successful entrepreneurs are not just about profit—though fundamental to any business—but nothing can be more rewarding than knowing that entrepreneurs accomplish something for the greater good. Profitability brings success. But improving the lives of people builds legacy. The NOW-NMP is not just about a profitable business venture, it provides a platform for entrepreneurs to be at the forefront in building a more progressive society thru internet connectivity,” Pantoja said. “The challenge is to bring quality broadband to areas underserved and unserved. This is where our NOW-NMP program comes into play. The roll-out of quality broadband to areas which have been long deprioritized would significantly bring progress – at home, at school, in the workplace,” said Kristian Pura, Head of Strategy and Head of Business Partnerships of NOW Corp. Interested partners may submit their details via online: http://now-telecom.com/nmp/#form. NOW has partnered up with DOOH PH, one of the foremost billboard companies in the country, to implement a Connected Electronic Billboard in the Philippines which is targeted to be available in the next few months. As outdoor advertising increasingly become a vital part of mainstream advertising in the Philippines, DOOH PH offers a distinct market presence in an environment uninterrupted by editorial and programming content. “Having a reliable broadband connectivity that provides guaranteed speeds and available 24/7 is key in pushing our content to all our electronic billboards in Metro Manila. Think of being able to watch and synchronize ads as you traverse the major roads where OOH has presence. Partnering with NOW Corporation and its affiliates as a broadband and content provider in delivering the promise of pushing live content to all our billboards is another breakthrough in a changing world of consumer advertising,” says Alvin Carranza, President of DOOH PH. NOW and its affiliates continuously seek to engage and collaborate with companies like DOOH PH through new digital media platforms and capabilities. “NOW believes that the next generation cutting edge technology capabilities following the digital lifestyle of customers would generate new revenue schemes for Digital outdoor advertising,” says Joemar Tiano, Head of Media and Cable TV. In line with NOW’s plan for expansion and diversification of its business segments, the stockholders, in the March 8, 2019 Special Stockholders’ Meeting, approved the equity restructuring plan of the Company in order to eliminate accumulated deficit, strengthen its financial position and to allow it to declare dividends to shareholders from its unrestricted retained earnings that will be generated subsequent to the equity restructuring. In addition, the company reaffirms its commitment to provide its investors new avenues for investments through a follow-on offering of preferred shares.